An in-depth look into what has been called an “unholy alliance” between the psychiatric industry, pharmaceutical companies and government regulators. Despite decades of tragedies and countless deaths caused by psychotropic drugs, they are marketed to ever greater numbers of Americans for the sake of huge profits. 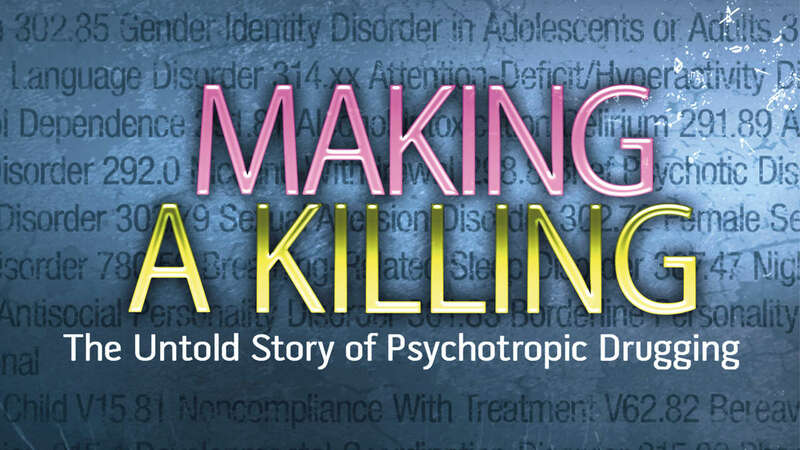 Mental health professionals and victims of psychotropic drugging expose the common marketing tactics and accuse the industry of knowing full well the dangers of these drugs.